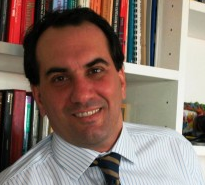 ALFONSO GAMBARDELLA is Professor of Corporate Management at the Università Bocconi, Milan. He obtained his PhD in 1991 from the Department of Economics of Stanford University. His research focuses on technological innovation and its impact on corporate strategy, industry structure and economic growth. He published in leading international journals of management and economics, like Management Science, Organization Science, Strategic Management Journal, Journal of Industrial Economics, Research Policy, Industrial & Corporate Change, Journal of Development Economics.